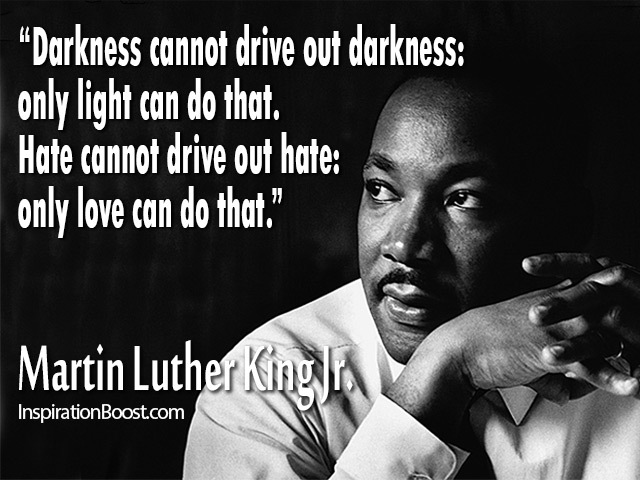 Today is both Dr. Martin Luther King day and the second inauguration of President Obama. Each are worthy of deeper reflection, but as Lutheran pastor in mid-west America, I don’t have much to give other than I am thankful and yet yearning. I am thankful for a nation that can honor one of its slain civil rights leaders, who spoke out against the injustices of racism and poverty in our nation. Thankful that Dr. King’s dream of equality is now woven into our national ethos. His life’s work still inspires me. I am also thankful that we can celebrate our nation’s ability to transition power peacefully. President Obama is starting his second term, but I am quite confident that in four years our nation will elect a new leader and continue the process of handing the presidential authority to that leader. I may or may not have voted for that person, but still he or she will be my president. Yet I continue to yearn. Yearn for the day that King’s dream of a true equality and prosperity is our nation’s (and even world’s) reality. Yearn for the day that our leaders can lead us with unity, strength and harmony. Yearn for the day our nation can truly be the beacon of hope for the world. I know that part of that yearning comes from my faith in Jesus Christ, and the promised of God’s kingdom. We live in the “already” of God’s victory in the death and resurrection of Jesus Christ, but we yearn for the “not yet” of the new heaven and new earth. Already: This is written so that you may come to believe that Jesus is the Messiah, the Son of God, and that through believing you may have life in his name (John 20:31). Not yet: See the home of God is among mortals, He will dwell with them; and they will be his people, and God himself will be with them. He will wipe every tear from their eyes. Death will be no more; mourning and crying and pain will be no more, for the first things have passed away (Rev. 21:3-4). Today’s celebration lives in that tension. I am thankful for the many wonderful blessing that our nation has experienced, while recognizing there is much work to be done and that God’s kingdom has not fully arrived. I do not want to confuse the United States of America with God’s kingdom, yet I remain very thankful that I am an American citizen. How do you respond to this day’s celebrations? Lord Jesus, your kingdom come, your will be done, on earth as in heaven. This entry was posted in Bible, Jesus, Uncategorized and tagged Dr. Martin Luther King, gratittude, Inauguration, John 20, Revelation 21, yearning on January 21, 2013 by Pastor John Keller. Today as we honor Dr. Martin Luther King, Jr., it would be good to reflect on some of his words from his Letter from a Birmingham Jail. I have tried to say that this normal and healthy discontent can be channeled into the creative outlet of nonviolent direct action. And now this approach is being termed extremist. . . I gradually gained a measure of satisfaction from the label. Was not Jesus an extremist for love: “Love your enemies, bless them that curse you, do good to them that hate you, and pray for them which despitefully use you, and persecute you.” Was not Amos an extremist for justice: “Let justice roll down like waters and righteousness like an ever flowing stream.” Was not Paul an extremist for the Christian gospel: “I bear in my body the marks of the Lord Jesus.” Was not Martin Luther an extremist: “Here I stand; I cannot do otherwise, so help me God.” So the question is not whether we will be extremists, but what kind of extremists we will be. Will we be extremists for hate or for love? Will we be extremists for the preservation of injustice or for the extension of justice? 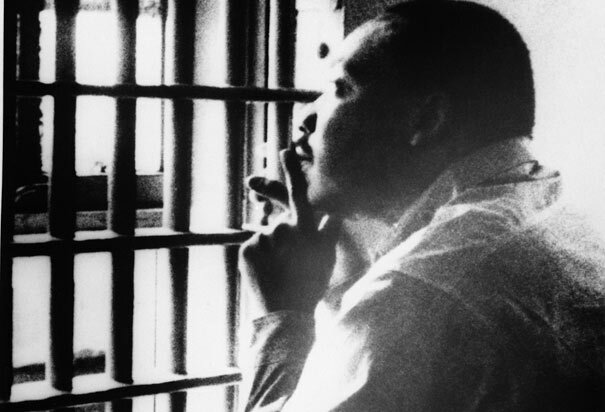 When I read Dr. King’s frustration and plea for justice and equality, I have two reactions. One is a prayer of thanks for the journey we have taken so far towards racial equality; the other is that I might become as extreme in my love as God calls me to be. Lord, have mercy. 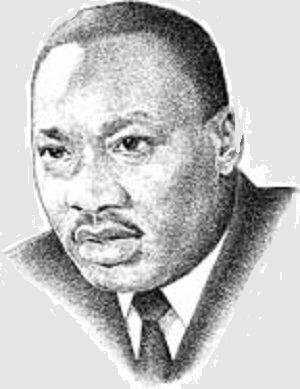 This entry was posted in grace, Jesus and tagged Dr. Martin Luther King, justice, Letter from a Birmingham Jail, racism on January 16, 2012 by Pastor John Keller.